Our industry-leading distribution capabilities ensure that no matter where you or your customers are located, we can get product to you quickly and with the properly branded packaging and labeling in place. 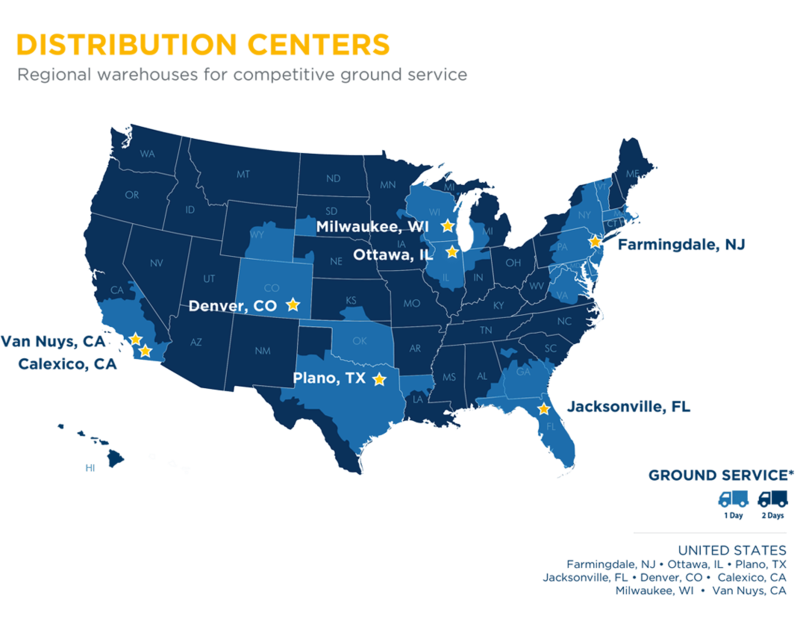 Through our extensive network of strategically located distribution facilities, Clover Imaging Group is able to use regular ground shipping rates to 90% of the continental United States. Our state-of-the-art automated systems guarantee constant and accurate communication of your order status so you are never left guessing whether or not your order has shipped. Full-color custom labeling is available from all locations to help you build a consistent brand.